The cover photo is of one of the 13 ringtail possums brought into care at stage 1 of VicRoads' clearing. (See "VicRoads mulch wildlife on Mornington Peninsula -AWPC intervention".) She had a deep facial injury which eventually recovered; she has since been released back into the wild. She was one of the lucky ones, many animals were mulched alive or run over by the heavy machinery that VicRoads used. Autumn has arrived and re-planting of the cleared median strip has not commenced, I would assume that it’s because they haven’t yet finished installing the safety barriers. This begs the question why did they go ahead and clear in spring, if they were going to take this long to complete the barriers? They could have left nesting birds to fledge. Abusive breeding of arctic foxes by the fur industry in Finland. Finland's Frankenstein foxes - weighing five times their normal weight, unable to stand for long, with huge pelts that hang over their eyes and form rolls on their bodies, kept standing with their soft paws on wire floored cages that give them little room to move, fed pulped animal offal that they cannot bite. I had no idea that Norway held such disgusting and unbearable secrets, close to equaling the Chinese bears milked for bile. President of the National Dingo Preservation and Recovery Program Inc., research veterinarian and animal research ethics expert, Dr Ian Gunn, has called upon the Queensland Environment Minister, the Hon. Dr Steven Miles, to initiate and independent inquiry into cruelty and mismanagement of the dingo population on Fraser Island as a matter of urgency. Most of these animals are stolen pets. All Chinese are not cruel, but this festival provides an economic excuse for the cruelest of thefts and practices, which many Chinese want ended: Open letter from Animal activist, Chantal Buslot: An animal rights lawyer in Beijing said that official claims that all dogs slaughtered for the Chinese Dog Meat Festival are bred by local dog farmers is false. Xiang said according to research there are no such farms and that all dogs are abducted from the streets. (http://www.ibtimes.co.uk/china-dog-meat-festival-2014-10000-dogs-be-slaughtered-yulin-summer-solstice-celebration-1451869) It is thought most dogs are pets or strays abducted from streets. Vendors then buy them for nine yuan (85p) and sell them for 25 yuan. People who steal the dogs make the biggest profits of all, the news agency said. The cruel changes made by the Napthine Victorian Government to wildlife laws are another reason many might not have known to be glad that its term just ended. It reestablished wild dog control zones across eastern Victoria which go well beyond the three kilometre limit into public land established under Labor. It reintroduced trap types previously banned by Labor as cruel. It introduced a bounty system whereby recreational hunters (including those using bows and arrows) can kill dingoes (‘wild dogs’) for profit across large parts of eastern Victoria and in the Big Desert National Park in western Victoria. Bounties can be taken in the Big Desert region even though there are no wild dog control zones in that part of the state. It increased the period allowed by Labor between trap visitations to 72 hours. Labor had previously reduced the trap visitation time to limit cruelty. 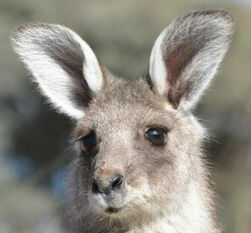 it introduced aerial baiting in Victoria, which had not been permitted by the Brumby Labor government. And that's not all. If justice prevailed for these poor creatures, the people responsible would be placed in a dark dungeon forever to atone for allowing this to happen. The specimen letter inside this article responds to reports of the death of scores of animals in the Surabaya Zoo, Indonesia, and seeks the immediate closure of the zoo, immediate medical attention to be provided by trained veterinarians to all animals on site, and transfer of all enclosed animals to accredited facilities. This paper was written by Barrie R. Tapp, Senior Investigations for Animal Cruelty Hotline Australia, with the intention of helping you try to understand the frustration and red tape that exists in the animal welfare world whilst trying to help our friends the animals. upon the branch that be?